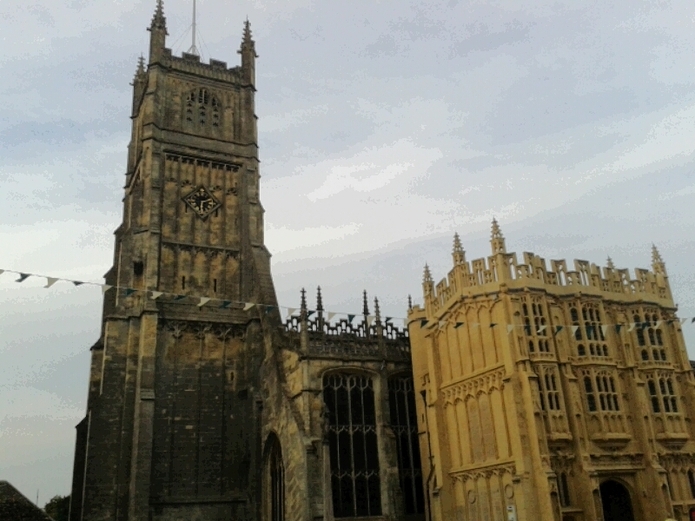 Cirencester, Gloucestershire: The capital of the cotswolds. NB. I have also submitted a similar article at Cut Out + Keep. The best thing about Cirencester (or Corinium) is its history. It was the second largest Roman town and has a bunch of historical sites in the town and surrounding villages. On Cotswold Avenue is the site of a Roman amphitheatre. It’s still buried but retains its shape. It’s great for a walk and for taking photos from the top! The Corinium Museum in Cirencester is, as you’d expect, dedicated to the Roman history of the town but also national history. If you have a couple of hours free, it’s well worth a visit. 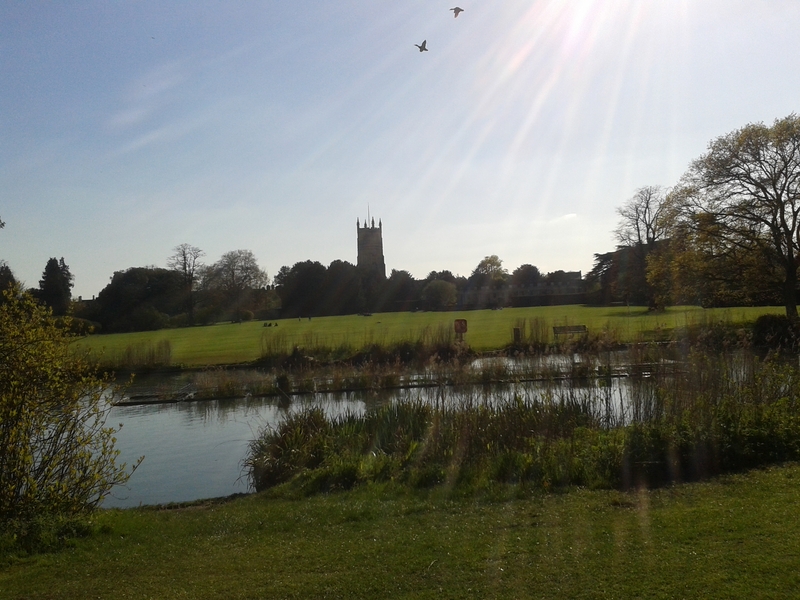 There are a few parks in Cirencester, but probably the most well known two are The Abbey Grounds, situated behind The Parish Church – which is beautiful inside, really worth a visit. In the Abbey Grounds grounds you will find a lake, impressive trees and greenery and a section of ancient Roman Wall. The other is Cirencester Park, home to the Bathurst Family. Both have beautiful landscapes. I enjoy walking around both, sometimes taking a book to read or a sketch book along with me. Also both are great for a picnic and the former for a bicycle ride. 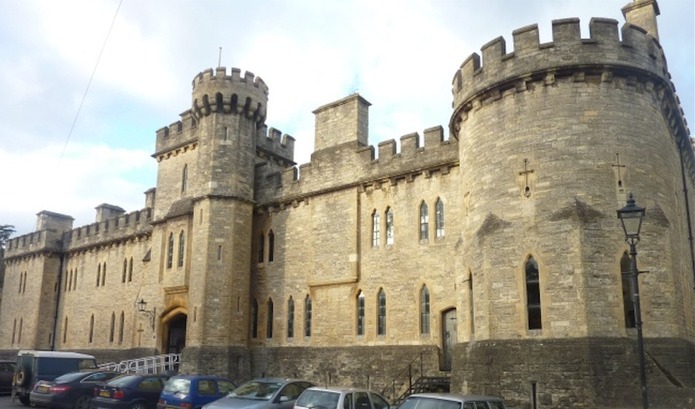 We also have a castle, well technically it’s an old barracks, but is known as The Castle to locals. There’s a Victorian era outdoor swimming pool nearby. The Sundial Theatre, part of Cirencester College, (where I studied) hosts drama and musical events by community groups and professional companies. I’ve seen quite a few shows there, mostly amateur productions. 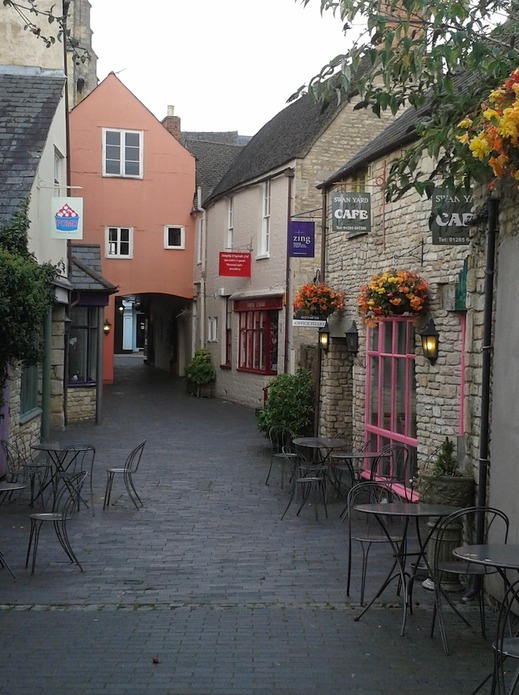 The high street in Cirencester is home to the typical high street shops, such as New Look and Dorothy Perkins. But I’d recommend checking out the back streets: Swan Yard and Black Jack street which are home to the more independent shops and have lots of nooks and crannies to explore. Be sure to visit Pick-A-Pot-And-Paint, where you choose your ceramic from their extensive range, paint it on site and they glaze and fire it for you. There is also a lovely art shop (Coln Gallery), an independent book shop specialising in children’s books (Octavia’s Bookshop) and Simply Crystals (selling gemstones and jewellery). There’s so much to explore here. You should also take a look down the bottom end of the high street and visit some of the independent shops down Cricklade Street, like Manns which is a family run jewellers and Sew N’ Sew. A couple of my favourite shops for more unique gifts are Lock Stock & Barrel and Surprises both found in The Market Place. It’s worth noting that The Wool Market isn’t actually a market (it was once upon a time)! However, a market is on in the high street on Monday and Friday. There are various cafés in Swan Yard and Black Jack street. The Swan Yard cafe has to be one of my favourites, with it’s roof terrace giving great views of that part of town. Sometimes Jessie Smith’s Bistro have a BBQ outside their butcher shop. If you’re willing to splash out a bit, Made By Bob in The Corn Hall is fantastic. I quite often go there for breakfast. 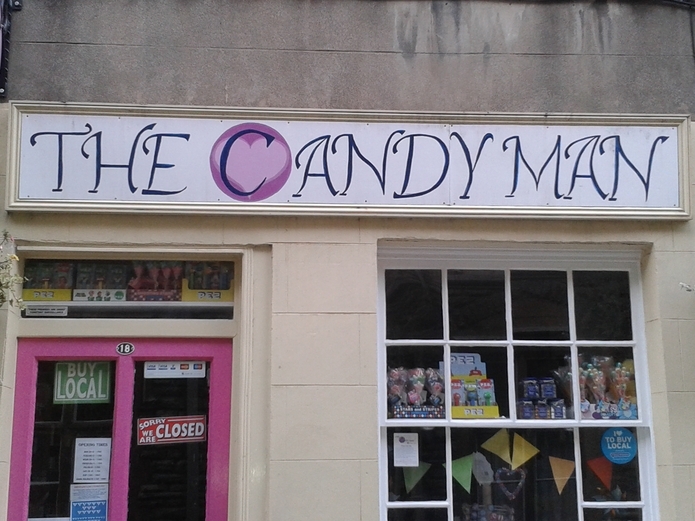 A trip to Cirencester isn’t complete without a visit to the Candyman, who sell traditional tuck shop sweets as well as some American favourites – like Twinkies mmm. Otherwise, there’s the Cornish Pasty Shop off the main high street and plenty of coffee shops. The two parks I mentioned are perfect for crafting in. Whether you like drawing, painting, photography or something like knitting even, would be perfect to do there. 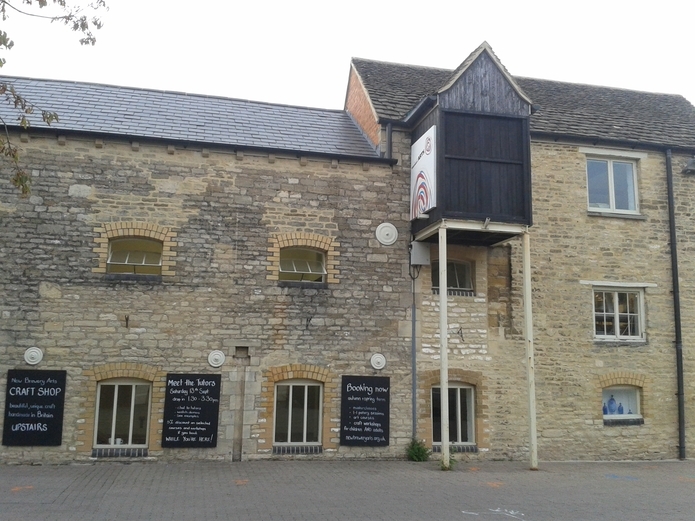 New Brewery Arts in Cirencester (which as the name suggests used to be a brewery) is a craft and art exhibition for local crafters and artists to display and sell there work. If you’re looking to learn a new craft skill this is the place to be, they offer various courses and one off workshops. There’s a craftmans market in The Corn Hall on a regular basis. Which is worth a look. I’ve gotten many things from local crafters there. There’s one lady who sells stained glass ornaments, I have a few that hang on my Christmas tree and one in my bedroom window. Perhaps something Roman themed from the museum? Or also inside the museum you’ll also find the tourist information centre, where you can buy Cirencester based nik-naks and postcards. There are many villages to visit around Cirencester, a few of my favourites to go to are Bourton-On-The-Water (home to the only King Penguins in England), Lechlade (with its own Christmas shop), Bibury (be sure to visit the trout farm!) and Burford (which has a wildlife park nearby).